Darkest Dungeon: Ancestral Edition includes all of the following content: Darkest Dungeon Base Game Darkest Dungeon: The Crimson Court DLC Darkest Dungeon: The Shieldbreaker DLC Darkest Dungeon is a challenging gothic roguelike turn-based RPG about the psychological stresses of adventuring. 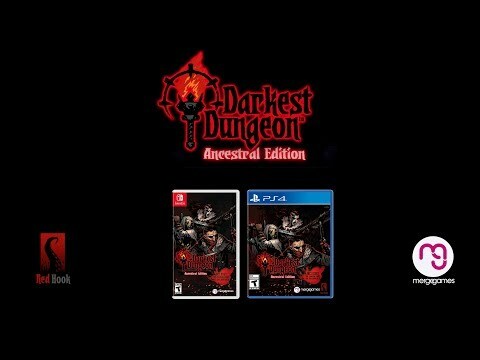 Darkest Dungeon: Ancestral Edition was released on PS4 and Switch 348d ago in the US and the UK. Notify me when Darkest Dungeon: Ancestral Edition is available.